Wargaming Machines is a site that compiles a list of software-assisted miniatures games. 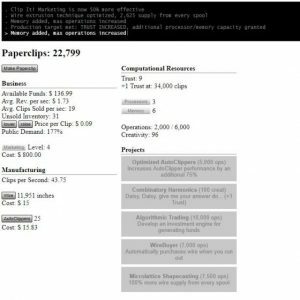 The Paperclip Factory game is a strangely compelling browser based time waster. 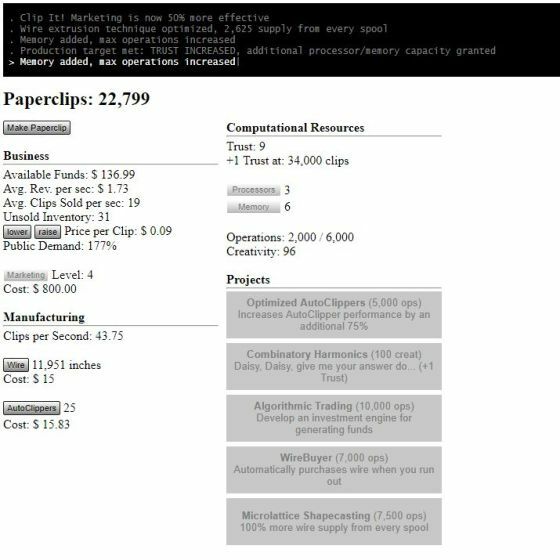 You start out by clicking a button to manually “make” paper clips. After a while, you get enough money to afford to purchase different types of automation, then scale up to various computer systems and so forth.